With tropical storms on the rise, there is no better time than now to review your property’s emergency preparedness checklist. We want our members to be proactive rather than reactive. Disasters can happen anytime and without warning but with proper preparation and supplies you can be ready, reduce damage, and pull through. As a Buyers Access member, you have a handful of dependable sources for the products you need to help your community prepare and recover from an emergency. 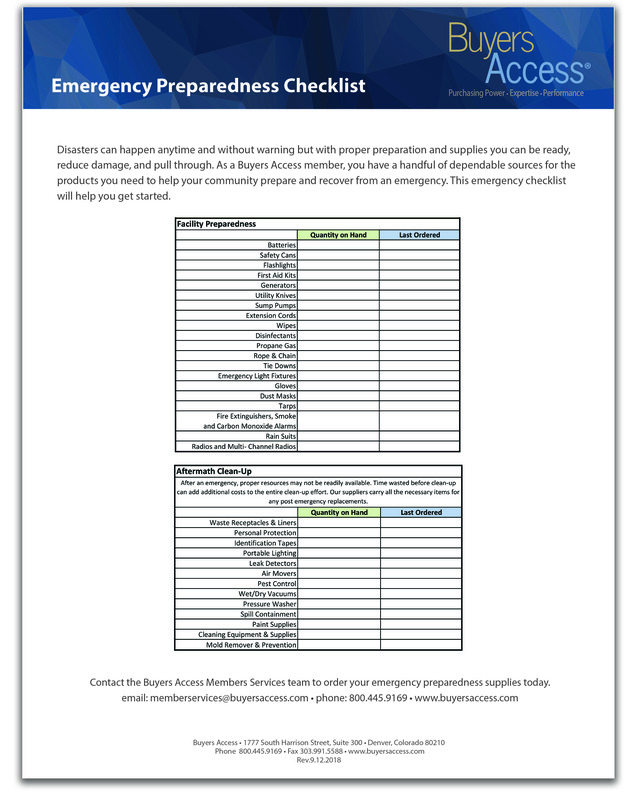 This emergency checklist will help you get started. Stock Up On Your Emergency Supplies Today!